Is it safe? Can I come out? Have the Cavs stopped dropping (Woj)bombs on everything? OK, get your gas mask and emergency supplies ready. Let’s go exploring. 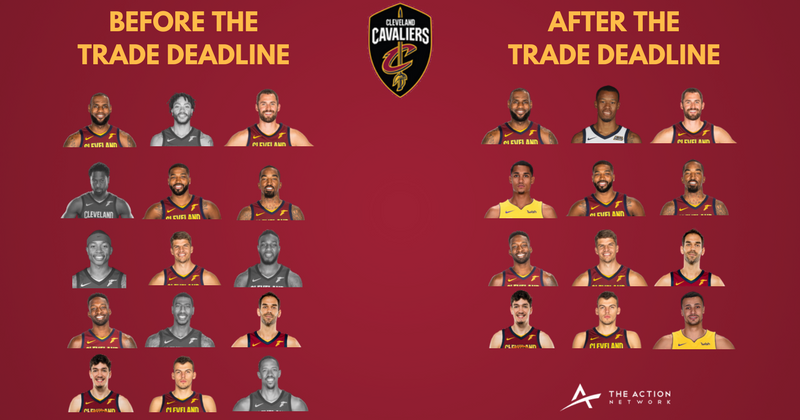 Here are all the answers to all the questions about the Cavs’ mega-series of deals on Thursday. 1. What exactly … did they do? That’s … that’s a lot of stuff. The Cavaliers effectively have an entirely new roster minus LeBron James, Tristan Thompson, Kyle Korver, Cedi Osman, and J.R. Smith. (Don’t believe me? Check the visual below, courtesy of Jason Awad.) They also reportedly plan to add Kendrick Perkins, because, of course.